When Bastille Café & Bar opened in the summer of 2009, it’s 1,200 square foot rooftop garden was already producing harvestable crops. The rectangular and circular raised beds are managed year-round to produce the highest yield possible in a limited space. 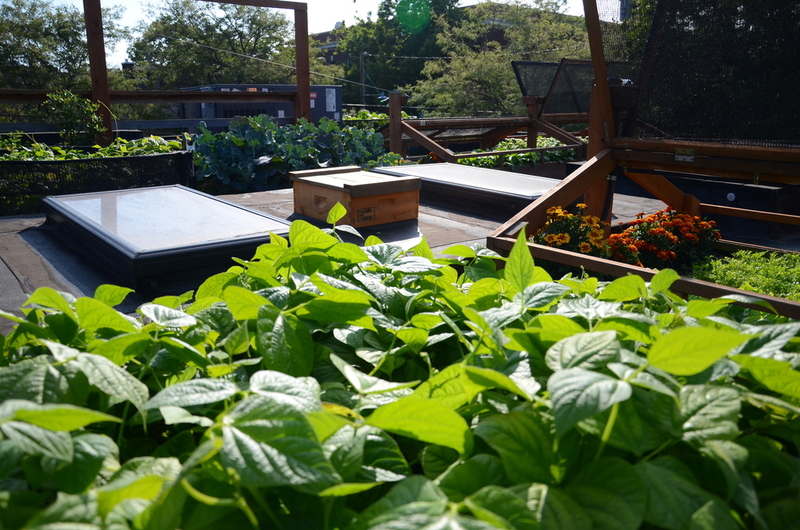 When Bastille Café and Bar opened in the summer of 2009, it’s 1,200 square foot rooftop garden was already producing harvestable crops. The rectangular and circular raised beds are managed year-round to produce the highest yield possible in a limited space. 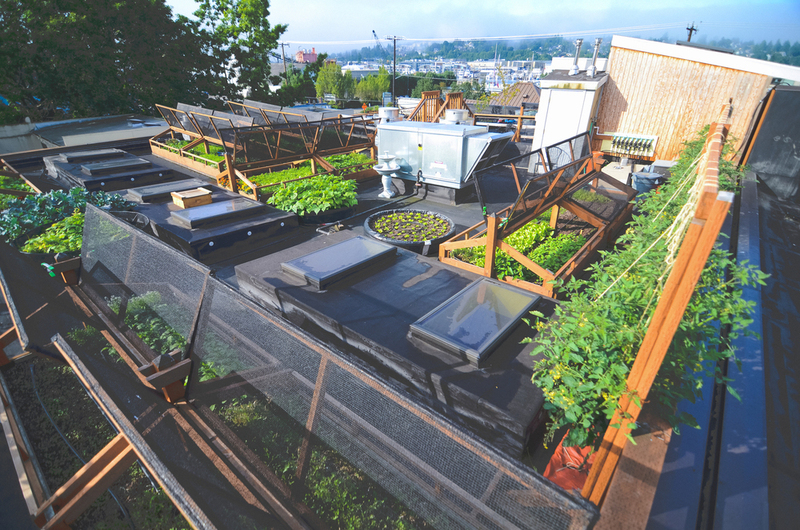 The rooftop location provides full-sun exposure and warmer temperatures than ground level, resulting in healthy plants and faster growth. 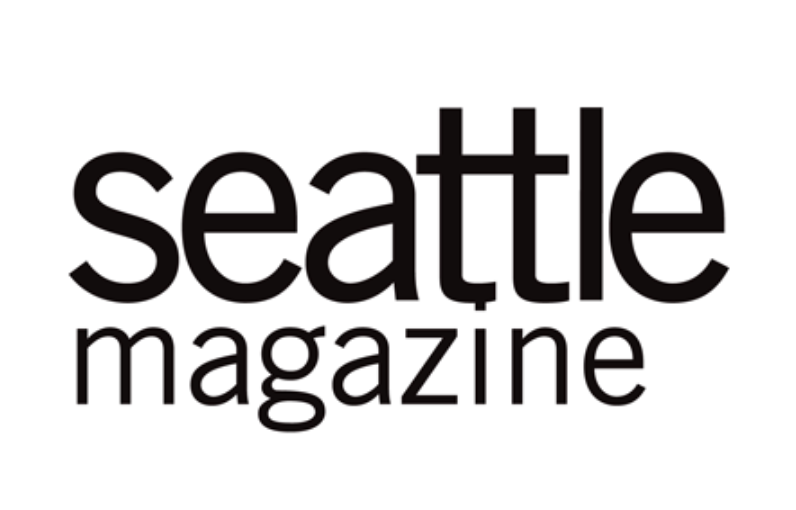 Seattle Urban Farm Company (SUFCo) farmers and Bastille’s executive chef, Jason Stoneburner, work together to choose unique and seasonally appropriate varieties. 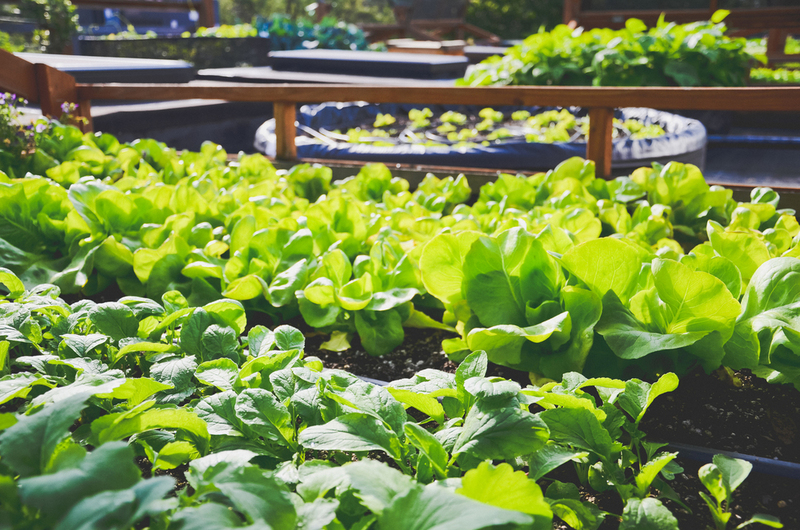 SUFCo performs ongoing crop and soil management, and Bastille kitchen staff visit the garden daily to ensure crops are harvested at their peak. Interchangeable shade cloth and greenhouse covers provide improved growing conditions and increase year-round productivity. An efficient, dual-functioning irrigation system allows for overhead or drip irrigation cycles. 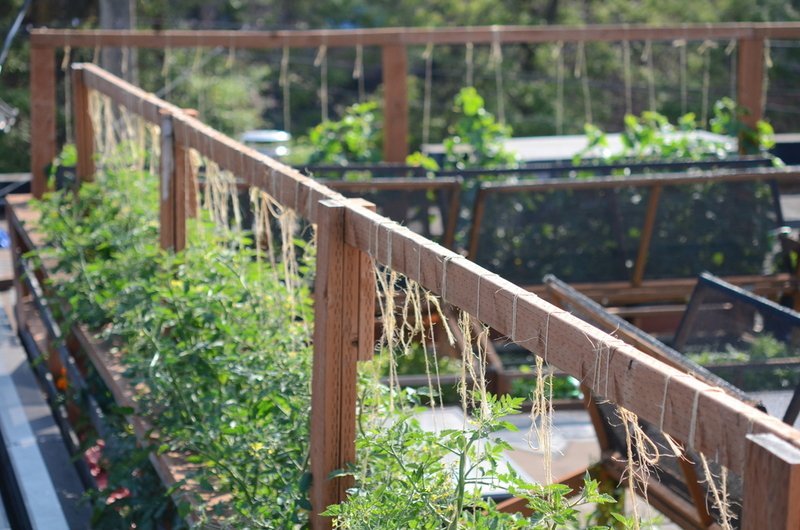 To make the most of the limited space, a series of trellises surrounds the garden space, which utilizes vertical space to allow dense cultivation of vining crops. Garden productivity continues to increase each season as our management program improves soil health and new site-specific systems are refined to improve growing and harvesting efficiencies.